After the success of "La Guitare - Paris 1650/1950" We are pleased to announce the second volume of the series dedicated to "Mirecourt, Les Provinces francaises". Written by Daniel Sinier and Francoise de Ridder, the book presents and analyzes instruments made by the master makers in Mirecourt, of which, with their instruments, have contributed to the international reputation of this town and its territory. In the analysis; workshops, small or large, capacities and commercial practices of luthiers are put in evidence, a detailed description is made of a professional sector entirely dedicated to the construction and the commerce of musical instruments of the highest quality. A panoramic view extended to the work of makers of musical instruments of the French regional capitals: Lyon, Bordeaux, Lille, cities that, even though distant from Paris, have produced craftsmanship of excellence. Works represented by Altimira, Anciaume, Aubert, Aubry-Maire, Beau, Brugere, Cabasse-Visnaire, Coffe-Goguette, Collin, Deleplanque, Derazey, Didier, Ferry, Grobert, Lacaille, Lambert, Laurent, Leblanc, Mast, Mauchand, Mougenot, Noiriel, Otte, Petitjean, Pons, Pratten, Roudhloff, Salomon, Silvestre, Thibouville-Lamy, Vissenaire. 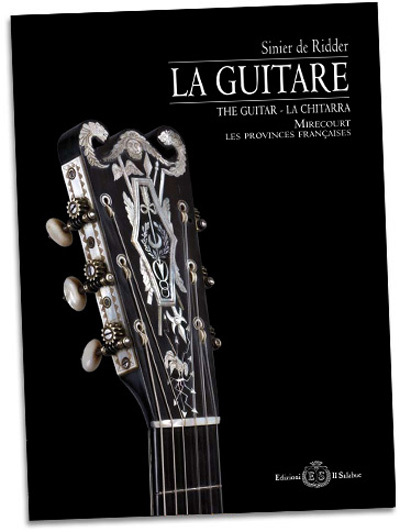 The volume illustrates more than 40 unpublished guitars accompanied by a text rich of color photographs showing internal details of the instruments, their specific characteristics and various information gathered by the authors during their 40 years of activity. An exhaustive and highly valuable publication of undoubted interest for professionals of the sector, collectors and instrument lovers. 224 pages, bound with hard cover. Three-language edition: French, English and Italian.